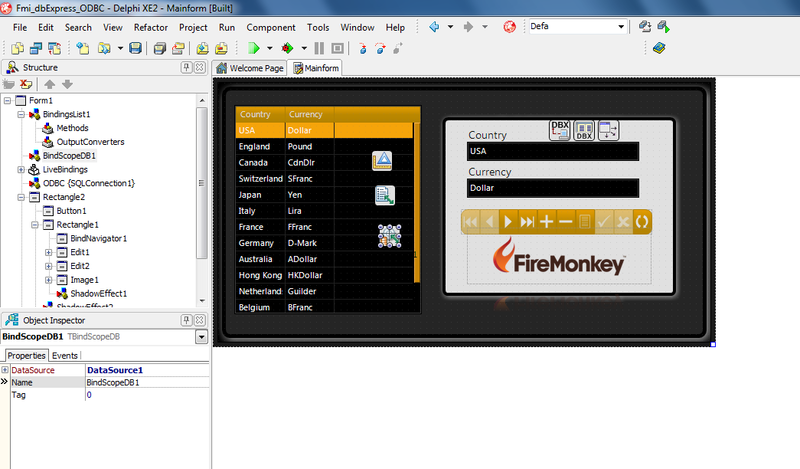 Delphi XE2 and C + + Builder XE2 introduce the new dbExpress ODBC driver, which enable FireMonkey and VCL applications to connect to any database that provides a ODBC driver. 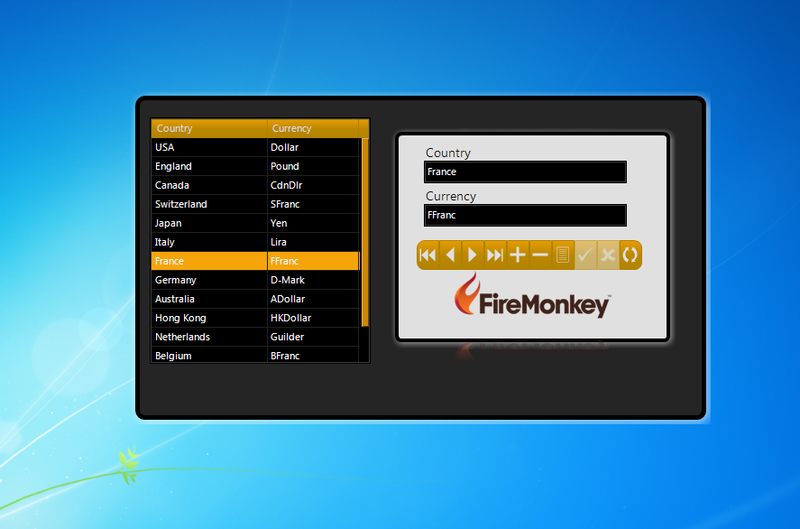 In order to show how it works, I created a FireMonkey project sample that connect to a PostgreSQL database. As first step, you must install the PostgreSQL ODBC driver on the machine that will run the application. Second, applications compiled as 32-bit, requires the 32-bit ODBC driver, 64-bit applications will require the 64-bit ODBC driver. 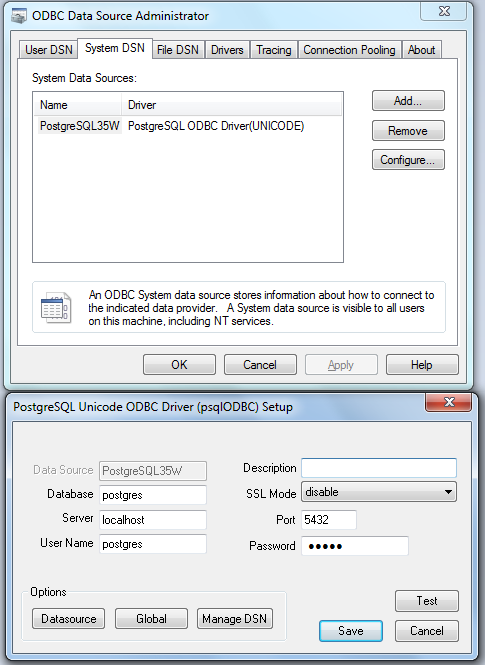 The next step is to create an dbExpress ODBC alias on Data Explorer, where the Database Name parameter is the name of the Data Source created earlier, in my example the Data Source is called PostgreSQL35W. The database, username and password was already defined in the Data Source, but you can override the username and password parameters through the SQLConnection. You can use the dbExpress framework when connected to a database through dbExpress ODBC driver. In XE2 the ODBC driver is compatible with Windows, we are evaluating the possibility to support this driver on Mac. 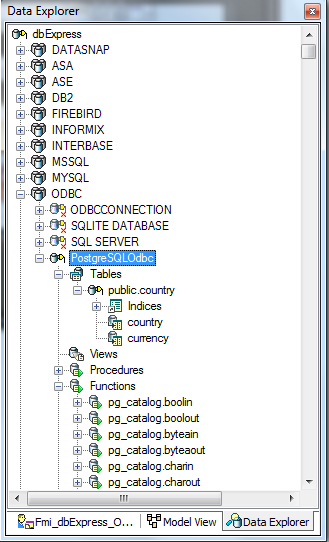 The figure below shows the FireMonkey application connected to PostgreSQL via dbExpress ODBC driver. Now you can connect to any other other database not supported natively by dbExpress. Hi, I’m new to XE2 and I usually connected to my PgSQL through a DAC. I followed your example but when I go in the Data Explorer window I can’t find the system DSN I created. I tried adding manually a new connection via the Data Explorer but I still can’t connect. I tried with a simple MDB file but I still get the same error, so I think it’s not about the pgSQL ODBC drivers. Yes sure, that’s what I did. I created my “postgreTest” DSN and went and refreshed the Data Explorer, but it wasn’t listed. That’s when I tried manually creating an object with the same name in the Data Explorer. I mean, in the second image, is “PostgreSQLOdbc” supposed to appear automatically? 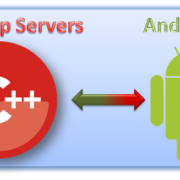 May I Add, I’m trying this on a trial installation of Delphi XE2, could this be a problem? Some kind of limitation? I don’t know why this error in XE3, did you try to contact Embarcadero technical support?